Green chutney also often called pudina chutney or mint chutney is a permanent fixture in a lot of Indian homes. Use this pudina chutney for sandwich, for chaats like dahi puri, sev puri, dahi vada or as a side dish to your meal. It really enhances the taste of any meal. 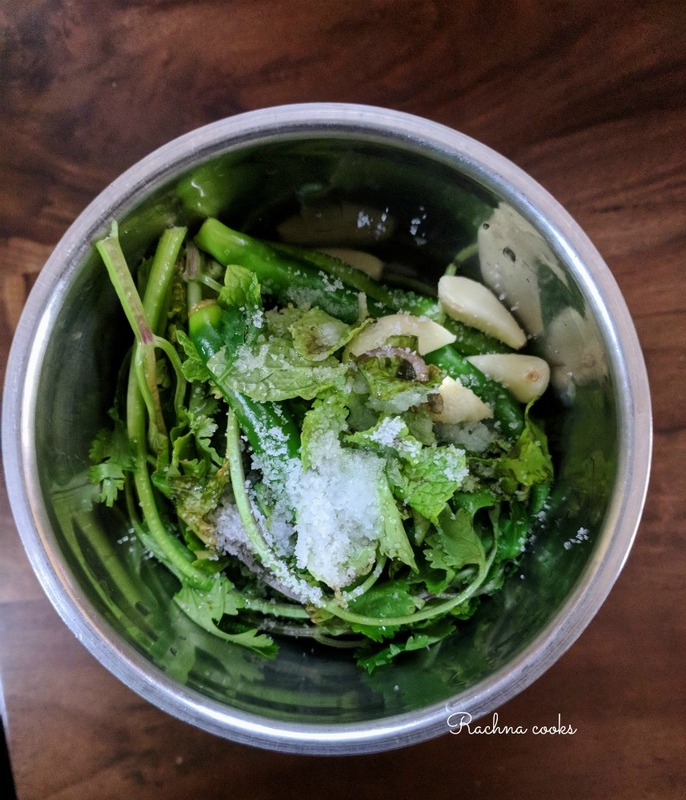 So simple to make this mint chutney just need 5 ingredients and perhaps just 5 minutes to make. This delicious pudina (mint) chutney is a perfect side to your meal and a great accompaniment to your chaats. 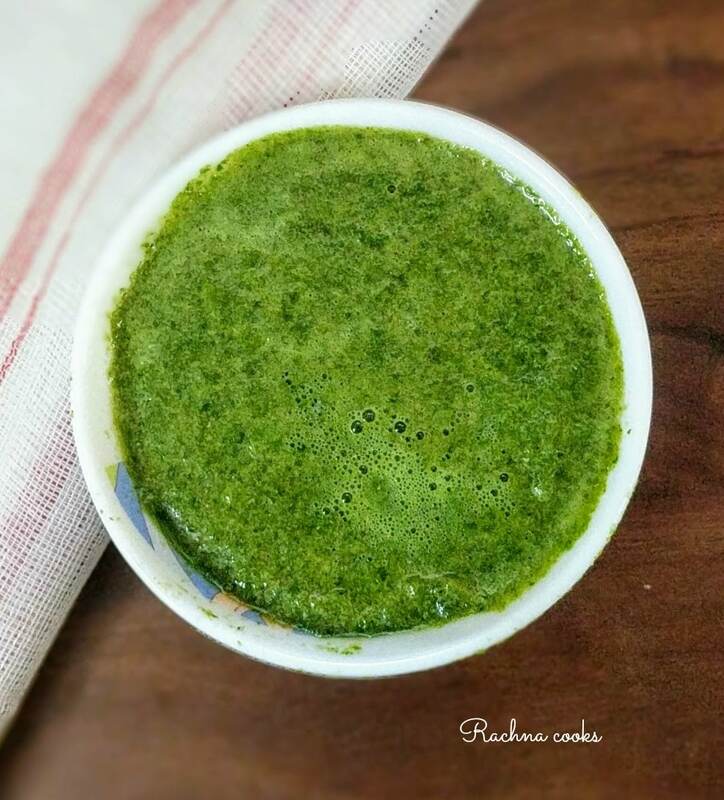 Do make this green chutney at home. Wash and clean mint and coriander leaves. Blend together mint, coriander leaves, garlic, salt and green chillies with a tbsp. of water. Your delicious green chutney is ready. Add a tsp. of lemon juice to the chutney for a balanced taste. You can remove garlic is you want but it does enhance the taste. 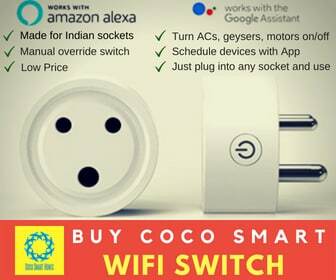 You can also add ginger for more bite. 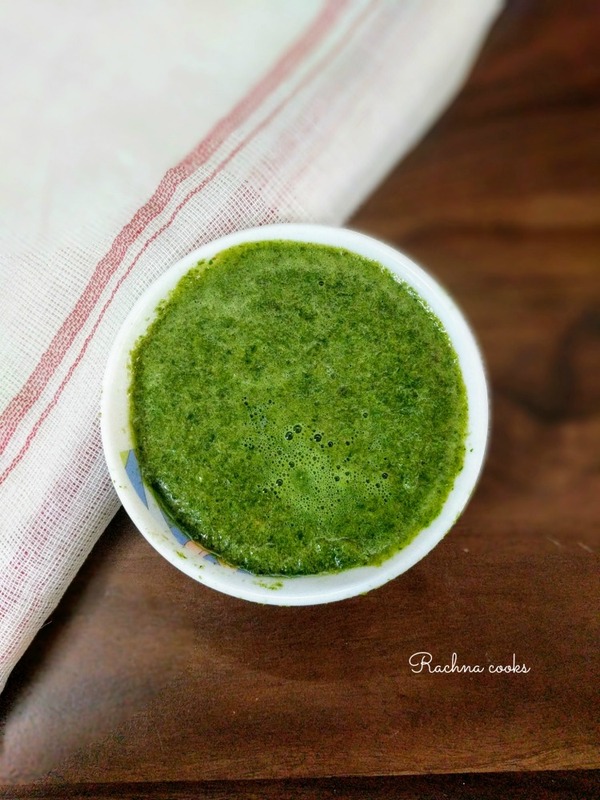 This is a wonderful green chutney that can be used for many dishes. 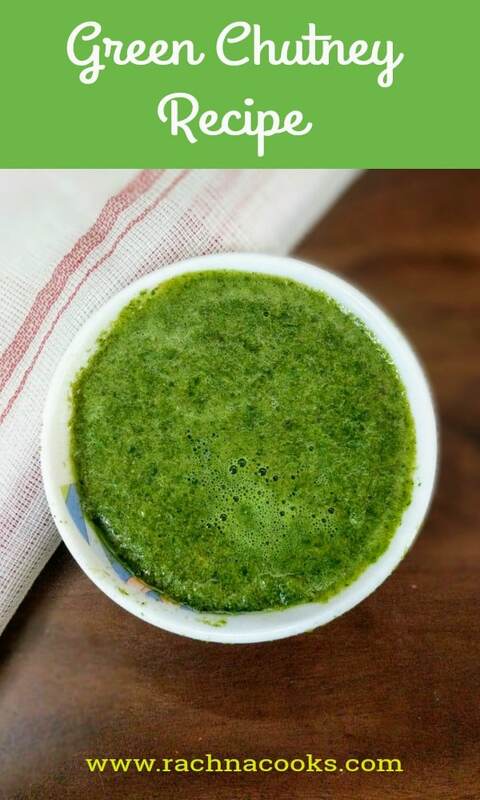 I do hope you will make this super easy green chutney at home and relish it with food. Take coriander leaves, mint leaves, garlic, green chillies and salt in a blender jar with 1 tbsp. water and blend to make the chutney.